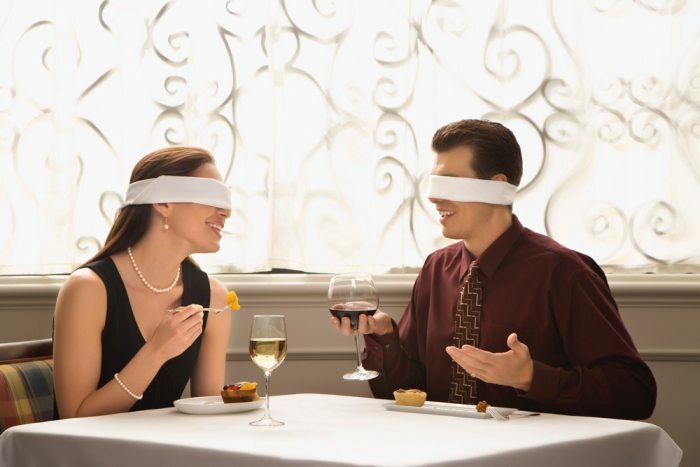 Blind dates can be hard. Not only do you have to worry about what your date looks like, but you also have to figure out what they’re interested in, if you’re compatible and whether they’re actually interested in your near mint condition 1996 pokemon cards. A shiny Charizard is the least of your worries, as there are also a ton of things you should be doing, and some things you absolutely shouldn’t be doing. For example, bringing your ex along should be high up on the list of things not to do. Many guys are scared of how badly a blind date can go and never choose to venture out on one of these dates. In reality, if you follow some set rules, not only can blind dates be enjoyable, but you might meet a girl who you’re crazy about. Let me guide you through five rules you should follow on a blind date. Trust me when I say, the first time you make this mistake, you’ll never look at a first date the same way again. A blind date doesn’t refer to the visual imparity of the person you are dating. It refers to the fact that you haven’t seen them and didn’t know who they are. Usually set up by some family relative or a friend, these dates can give you the perfect opportunity to mingle instead of sitting around watching re-runs of the office for the twentieth time this month. As a general rule, I would ban ex-talking from every aspect of your life, especially in a new date situation. A blind date is no different to a regular date. Even if they ask questions about your past dating life, keep it short and brief. Otherwise, you’ll have your date wishing it was less of a blind date and more of a deaf date. You can play it cool and go into your blind date with no information, but doing so is going to leave you seriously underequipped. Whoever sent you into this situation is bound to know more about your date so don your detective hat and get digging. Any information is helpful, even finding out something as simple as her liking pets can have you talking for hours on end about the subtleties of the Yorkshire terrier. Remember when your friend told you about that guy she went on a date with and she thought it was totally hot that he came in a baseball cap, sweatpants and his Ghostbusters t-shirt? Nope, because that never happened. Don’t be mistaken for thinking that just because you’re going on a blind date that your date won’t be worth looking at. Make sure to get dressed up; you can keep it casual but make sure to hit the shower, spritz on some cologne and iron out the creases of your shirt. If your date walks in looking like a bond girl, the last thing you want to be is looking like a washed-up evil genius, that’s just not hot. Nothing over the top, no grand heists or kidnappings. Simply just knowing where you want to take your blind date is a great start. Showing her that you’ve made an effort to plan out your date is a small distinction that can leave a lasting mark. Even something as small as bringing a small gift or knowing a local park to walk in after a coffee can be a nice touch, especially if there’s a cool event going on. Do some research, bring your A-game, and you’ll be sure to impress. Make sure to leave the date at the high point of the interaction. Make sure not to give her the impression you are rushing out on her, even invite her along to your next appointment if you’re feeling brave, just make sure it’s not the dentist.